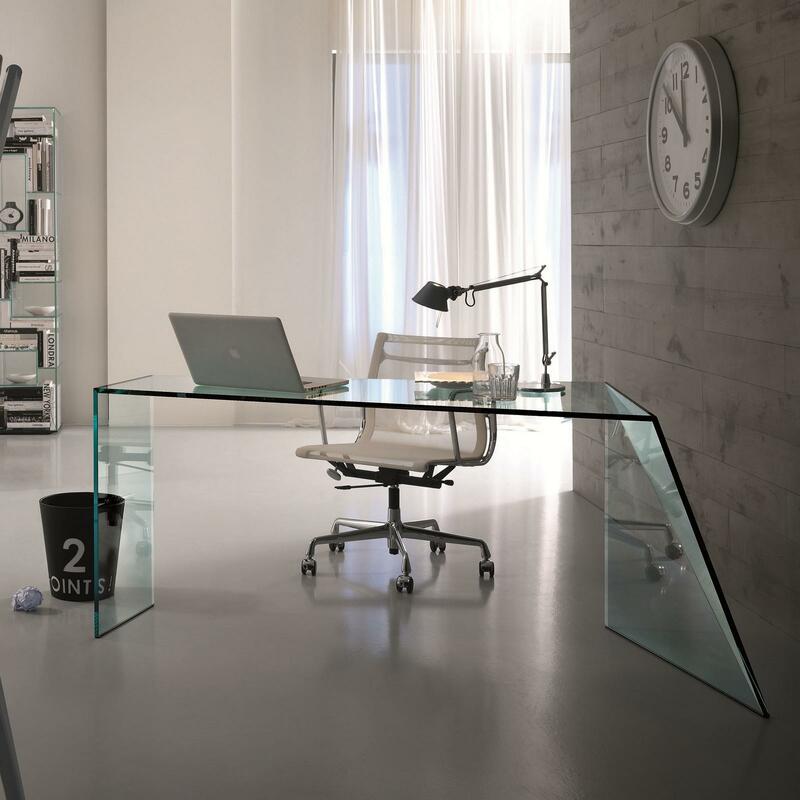 The Penrose desk is a luxurious glass desk by Italian glass expert Tonelli Design. 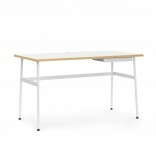 The Penrose desk seems to rest on one point at each side. 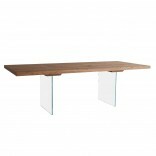 Each one of its glass slabs is finely finished in an oblique cut of every edge. As a result the slabs can be steadily bonded together, the glass becomes lighter and the shape can be bent keeping the perfect balance. 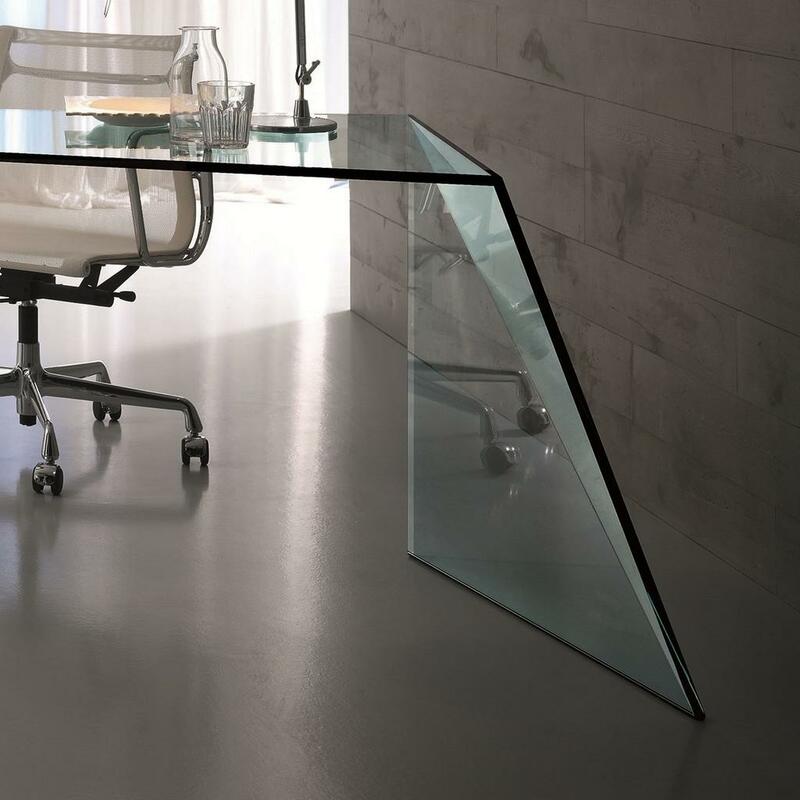 The Penrose desk is an aesthetic and functional metaphor of mankind's challenge to exceed the nature of glass and its balance. 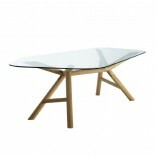 It is available in Transparent or Extraclear Glass. 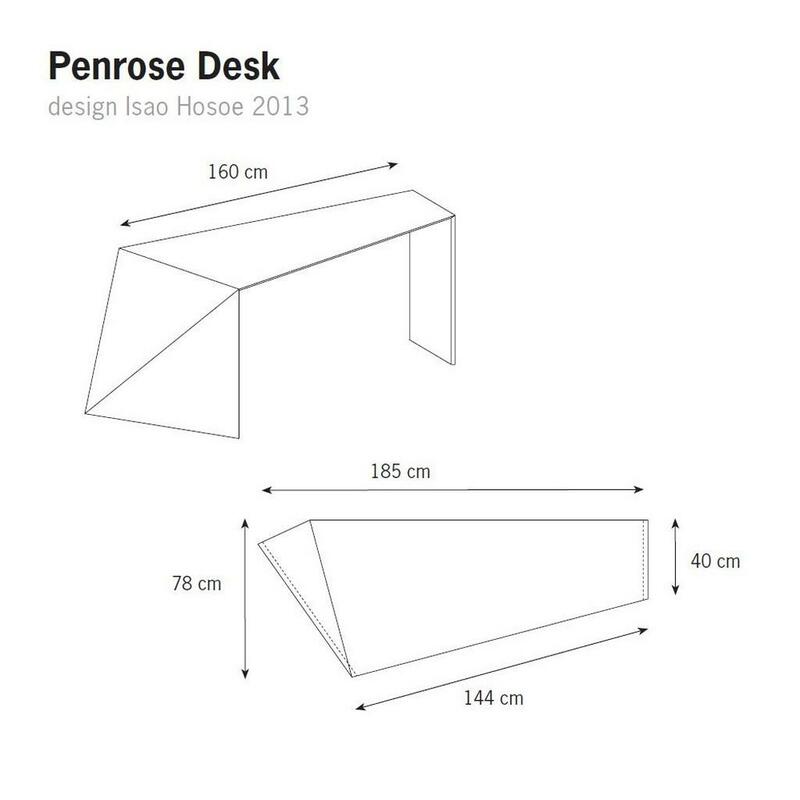 There is also a smaller version for your lobby or home entrance: the Penrose Console by Tonelli Design. 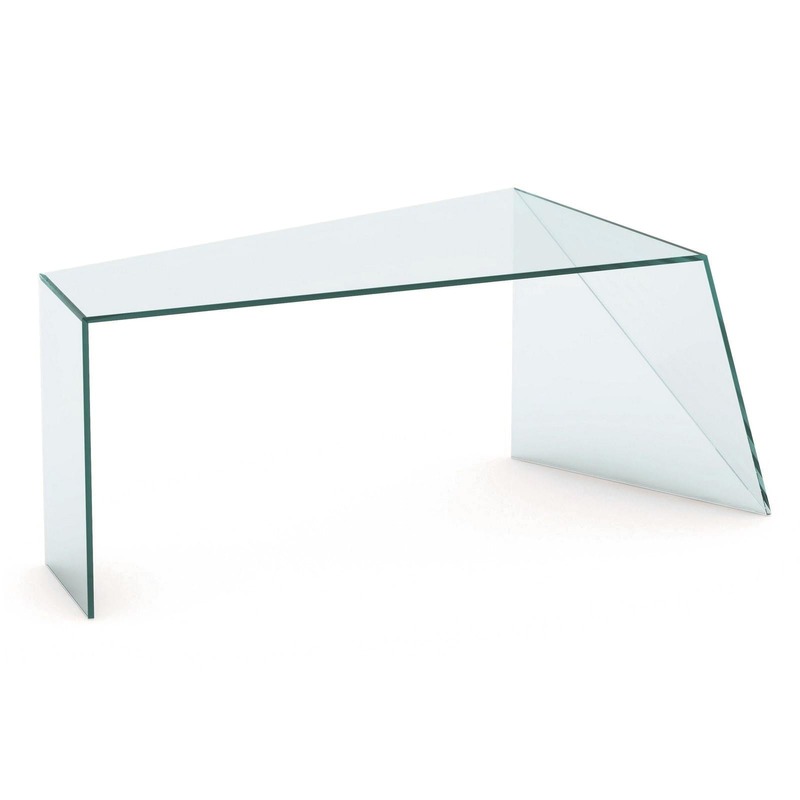 Material: Glass. 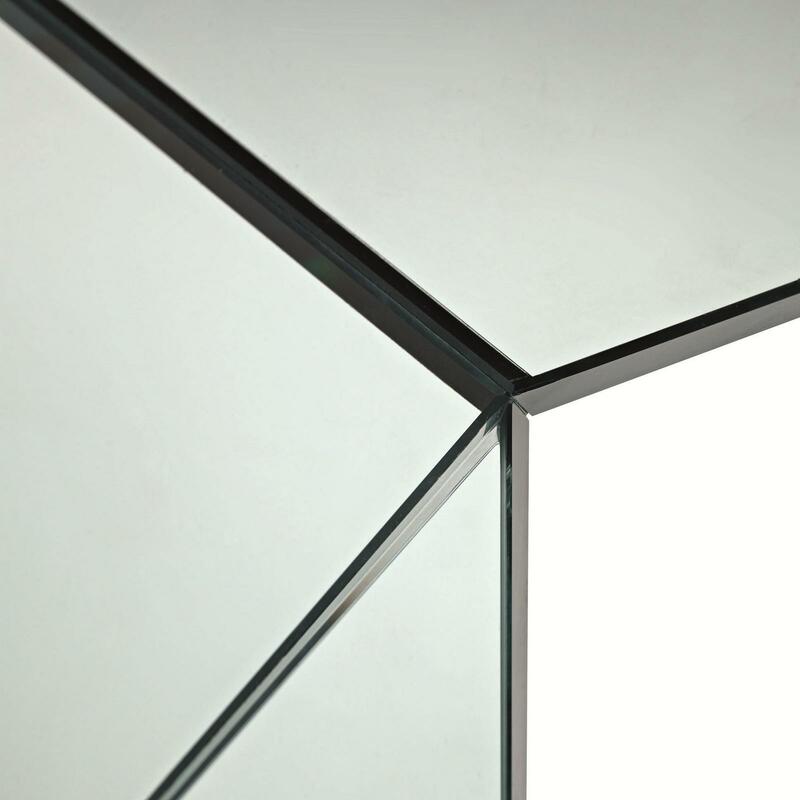 Transparent or Extraclear glass.